I just finished reading Jiryu Mark Rutschman-Byler’s excellent Two Shores of Zen, a searingly honest personal narrative comparing his experiences in American and Japanese Zen practice settings. Rather than review the book (which I highly recommend) I want to explore its chief theme, the search for Buddhist “authenticity:” What is real Zen? Above all else, we want our Zen to be “authentic,” and we want to practice “authentically,” whether these two are the same thing or not — the first having to do with whether our Zen is really the Zen of our ancestors, the second with whether we can wholeheartedly practice without some inner division, false consciousness, or “as if” quality. The first question — “Is this the Buddhism/Zen of our ancestors?” — seems to be a perennial question which some of my earlier posts (Tokugawa Zen; Greek Buddha; Everything Changes, Buddhism too; Buddhism Learns to Stand on Its Head) have touched upon in piecemeal fashion. Every Buddhist school makes its own claim to authenticity and plays fast and loose with history in service of this goal, but every successful Buddhist movement to restore an idealized past inevitably ends by re-creating a new Buddhism for its own historical era. These Buddhisms can’t help but reflect the consciousness of their time. If, by some miracle, they could somehow resist infection with the Zeitgeist (even while, at the same time, heroically opposing it), they’d be of no real value to their practitioners who, prisoners of their own place and time, would be incapable of genuinely inhabiting the consciousness of a previous era. This relates to the issue of the second type of “authenticity”—one’s ability to fully inhabit and embody a practice. Dogen’s thirteenth century journey to China to find the “real” Zen is but one example of the process of recreation through “looking backwards,” as is Menzan Zuiho’s eighteenth century rediscovery of Dogen’s Zen. In addition, innovations in Buddhism have historically tried to justify their “authenticity” by invoking mythological pasts. Zen “lineage charts,” Nagarjuna’s “recovery” of the Prajnaparamita Sutras, and Tibetan “revelations” of esoterically hidden termas are all examples of this tendency, and Christopher Beckwith’s Greek Buddha suggests a similar process may underly Theravada claims to having “preserved” the Buddha’s “original” teachings. Buddhism has always looked forwards by looking backwards. It’s always decaying, dying, dead and gone and then—presto-chango!— reborn again, the same but different. This, perversely, is one way the doctrine of rebirth turns out to be literally true. As the narrative of Two Shores of Zen begins, Rutschman-Byler, a resident practitioner at California’s Tassajara Zen Mountain Center, finds himself increasingly repelled by certain features of American Zen. He is an exceedingly — one might almost say “painfully” — earnest practitioner who finds himself questioning the authenticity of what he sees as a vitiated American Zen with its diminished promise of genuine awakening. He is scornful of non-celibate monastics, the democratic weakening of monastic hierarchy, comfortable monasteries with heated rooms and gourmet meals, and Zen teachers who act as spiritual friends and who encourage one to find one’s own answers rather than inspiring wholehearted devotion as enlightened beings. 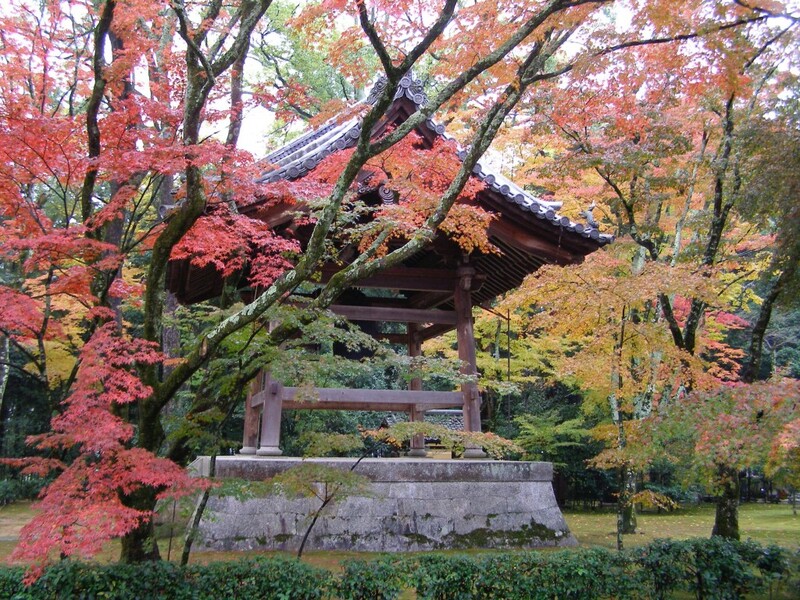 He goes to Japan searching for a purer, more authentic Zen practice, but what he finds are the twin aspects of a declining Japanese Zen: on the one hand, a nearly moribund family-temple “funeral” Buddhism, and on the other hand, an austere, demanding practice with an “enlightened” master who — while possessing all the hallmarks of “authenticity” — is aging and infirm and has left no Dharma heirs; whatever tradition he represents is dying with him. His temple is populated by Japanese students who, failing to duplicate the master’s enlightenment, sneak off in the night, and Westerners attempting to devote themselves to an ascetic ideal that’s no longer possible for postmodern Westerners and which is complicated by the fact that they’re practicing within an alien culture that stubbornly resists understanding. We Western convert Buddhists find ourselves in an awkward position. We’re postmoderns par excellence —doubters, questioners, and searchers — rejecting our birth religion and setting ourselves adrift. We want to ground ourselves in something authentic, but are incapable of the kind of faith and trust in our new religion that we rejected in our old. There are, however, aspects of this new Buddhism that are uniquely suited to our postmodern sensibilities—most specifically the Zen ideal of “not knowing.” In addition, the doctrine of emptiness fits hand-in-glove with the process-relational aspects of postmodernism, the understanding that at bottom there is no bottom: no unchanging essence that stands behind us or anything else. It’s process and flux all the way down, and the bits and pieces we borrow to create ourselves are not “ours” but borrowings from the detritus of our culture, memes afloat in our hive mind. The question is, which borrowings and adoptions carry something valuable forward — liberate and actualize potentials in a positive way—and what criteria should we adopt in evaluating our progress? Western Zen reinforces and develops a number of criteria — presence, awareness, whole-heartedness, integrity, openness, and interconnectedness — that resonate with Western romanticism, psychoanalysis, phenomenology and existentialism — and weds them, as (David Chapman rightly points out) to contemporary Western liberal ethics with its emphases on empathy, mutual understanding, compassion, fairness, justice, and liberation. Is this an “authentic” Buddhism? Thanissaro Bhikkhu doesn’t seem to think so, as he makes clear in his cogent historical analysis of the genesis of Buddhist romanticism, but he’s an apologist for the Theravada agenda, shoring up arguments in support of his own existential commitments. Of course he’s right in a sense: It’s not your grandfather’s Buddhism. It’s not Theravada. It’s not Bodhidharma Zen. It’s not Dogen Zen. But Western Buddhism is completely authentic in another sense. It’s authentic in that we can completely get behind it. It’s a platform on which we can authentically practice without pretense, without cutting off or eliding what we, as postmoderns, sense deeply and irrevocably in our bones. Will it take us to the other shore? Gate, Gate, Paragate, Parasamgate, Bodhi, Swaha? Thanisarro Bhikkhu argues that it won’t, but do we really believe in that other shore anymore? Something wholly transcendent, a final destination, permanent, beyond all suffering? Does it make any sense? Does it ring true to postmodern ears? Do we really need it? Have we met anyone who’s attained it? Not someone who said they attained it, but someone we genuinely believed actually did? Do we live in Mappo, the degenerate Third Age of Buddhism, when attainment is no longer possible? What good is an “attainment” no one ever ever actually attains? What Western Buddhism can do is move us continually beyond our old selves, breaking the chains of habit, prejudice, and character, opening us to deeper levels of interconnectedness and Being, opening our hearts, lessening our clinging and egocentricity, developing our equanimity and acceptance, and enabling the continual questioning that makes our never-ending journey an adventure worth living. That’s not another shore exactly, but it’s a process we can sincerely believe in. This isn’t the final Buddhism; its just ours. The next historical era will require something new — something drawing different water from the Buddhist well and blending it with the insights specific to its own time and place. Alfred North Whitehead wrote that “philosophy can never revert to its old position after the shock of a great philosopher.” Every great philosopher changes the world so that we can never quite see things the same way again. We can’t live as if Hume, Descartes, Kant, Hegel, Nietzsche and Heidegger never existed — whether we’ve read and understood them or not, our culture has already been changed by them, and we’ve been changed along with it. In the future some new philosopher will no doubt think new thoughts and change the possible ways our descendants can understand and use the Dharma. As a 2,500 year old conversation on awakening and liberation, the well of Buddhism is deep. It will always have something valuable to contribute. And once again, it will be reborn, the same but different. Aloha Seth/Zuiho, I am a Doctor of Humanistic Psychology and a Zen Teacher and Counselor in the Soto Zen practice tradition of Suzuki Roshi. If my video resonates with your heart and the still wisdoming of your body core, I would appreciate you mentioning the availability of the book and my WordPress author page at ZenIntimacy.Com. Thank you for another wonderful essay – I found it insightful, wise and edifying. You noted, “We’re postmoderns par excellence —doubters, questioners, and searchers — rejecting our birth religion and setting ourselves adrift. We want to ground ourselves in something authentic, but are incapable of the kind of faith and trust in our new religion that we rejected in our old.”. That concise yet penetrating observation resonated deeply with me. I am grateful for being adrift, as that has allowed me to sample Truth from several seas (or shores!). It may seem Faithless at times, yet as I drift along I find myself more and more Faithful to deeper states of Being. I suppose that is how I personally qualify Authenticity – by the measure I am transformed in heart and mind, thought and deed. Thank you again for your Authentic essay. Deric, how beautifully put! Grateful for being adrift;for sampling truths from other shores;for faithfulness to deeper states of Being. Amen. Wow, you’re third to the last paragraph is kind of depressing to me. I have read Rutschman-Byler’s book too and really enjoyed it. But my reoccurring question after reading all the books about a “failed” pilgrimage to Japan to find authentic Buddhism and blog posts saying there are no truly enlightened beings anymore just makes me wonder, are we too lazy to do what it takes? Especially as Americans. The fact that Rutschman-Byler and others complain about austerities make me think that modern humans are too pampered to become fully awakened. Tyson, perhaps. But, more likely to my mind, the idea that we hold about something called permanent and complete enlightenment is just another idea we might best let go of. It just doesn’t make any sense in terms of what we, as moderns, “know” about human beings. In saying this, I’m not claiming that we moderns “know” more than our ancestors, but I am saying that we think about and understand things differently, and that we can’t go back to another way of thinking that’s incongruent with everything we as 21st century human beings have come to believe in their bones. Great article. I concur with your sense of things. And, from a non-dual perspective, doesn’t it make sense that a person is never truly distinct from his/her cultural milieu? I mean, to claim otherwise is to miss a major implication of non-duality. Our time is us. We are our time – at least in part. So when we go searching in history for “authenticity”, we are inevitably always (regardless of what era we set forth from) finding something different than the past found of the past. There just is no way around this. This is just the “suchness” of things – and always has been. I make no claim of real understanding of the issues involved here. However, I have found your insights and ruminations, in this and other writings, to be helpful in my own search for truth and meaning. In my own intellectual and spiritual journey I have used the tools of material science and sociology to begin to grasp some of the concerns your eloquence out lines. Charlotte, I’m glad you have found my ruminations somewhat helpful. Many blessings to you on your own intellectual and spiritual journey!